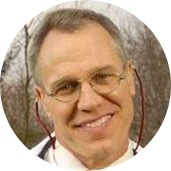 Dr. John Robb is a respected doctor of veterinary medicine from Connecticut and founder of Protect the Pets. Protect the Pets is a grass roots movement lead by Dr. Robb to educate pet owners about the realities of over-vaccination and to inspire veterinary professionals to value the health of pets over the drive for profits. Protect the Pets promotes the idea that veterinarians should be able to make decisions that are in the best interest of an animal’s health and to reduce the impact of vaccine side affects by using graduated dosages and titering. The ultimate aim is to amend the rabies laws in each State by amending the laws to include a rabies titer rather than a mandated and medically unwarranted re-vaccination. As a result of his outspoken stand against profits over pets and his unwillingness to observe the unspoken “rules” among veterinarians that emphasize protecting the vet over protecting the pet, the Mars Candy Bar Company is suing Dr. Robb in US Federal court; PetSmart is suing Dr. Robb in CT State court; and the State of CT is currently investigating his license. Dr. Robb received his Bachelor of Science degree from the University of California at Davis in 1981 and his DVM from that same institution in 1985. Throughout his career Dr. Robb has held an unwavering commitment to pets over profits. He has experienced first-hand the toxic effect of the drive for productivity and profitability on animal care. While some in the industry want to silence him, he has become a voice and a leader for the many animal care professionals who want to live their passion and provide the very best in care to our animal companions. In 2008, Dr. Robb bought a franchise from Banfield Pet Hospital. It was while at Banfield that Dr. Robb came up against the Veterinary Establishment represented by Mars. Mars put profits first and pet lives second. In addition, Mars began an illegal process to dissolve franchise agreements and gain control of all 900 Banfield hospitals. Dr. Robb could not be bought or blackmailed. Mars terminated the franchise agreement at Dr. Robb’s Banfield Hospital in Stamford, Connecticut, with no compensation. Mars threatened to report Dr. Robb to the State Board of Veterinary Medicine if he “wouldn’t go quietly.” Dr. Robb told Mars that he, not Mars and not the Connecticut State Board, had the right to choose what volume of rabies vaccine he injected into a pet. From this beginning has come a worldwide movement to protect the pets by amending the rabies laws to honor the measuring of circulating antibodies: namely, a blood titer as the true indicator of immunity! Dr. Robb began his practice at New Haven Central Veterinary Hospital. He purchased the New Fairfield Veterinary Hospital in 1988, renaming it the Robb Animal Care Center in 1997. It was at this practice that Dr. Robb first established Community Appreciation Days, when he offered free exams and vaccinations to people who could not ordinarily afford veterinary care. In April of 1999, Dr. Robb sold the Care Center to Veterinary Centers of America (VCA). He continued to work as an associate veterinarian and then Medical Director at VCA Northside in Danbury until his departure in 2005. In 2007, Dr. Robb bought and ran Farmington Valley Emergency Hospital in Avon, Connecticut. There Dr. Robb treated every pet regardless of the owner’s financial situation. It was a 24-hour care facility for critically ill pets. Dr. Robb sold the 24-hour care facility in 2008 to BrightHeart Veterinary Company and bought the franchise from Banfield Pet Hospital. In addition to leading Protect the Pets, Dr. Robb serves as an Assistant to the Pastor/Minister at Mountain Church of God in Brookfield, CT.